Computers have become an integral part of our lives. Be it a high school student or a working professional, both will heavily depend on their system for a lot thing. The situation is similar in work places as well. Be it a school or a Multi National Company, most of the dependent upon electronic device is the computers. If one an unlucky day, the system fails, it feels like all hell has wreck loose on you. In such a situation, would it not be a good thing to have a portable computer for you in situations of need? Believe me, it would be the best thing to happen in case you find yourself in a bad situation. The Beelink M808 is the one for you. 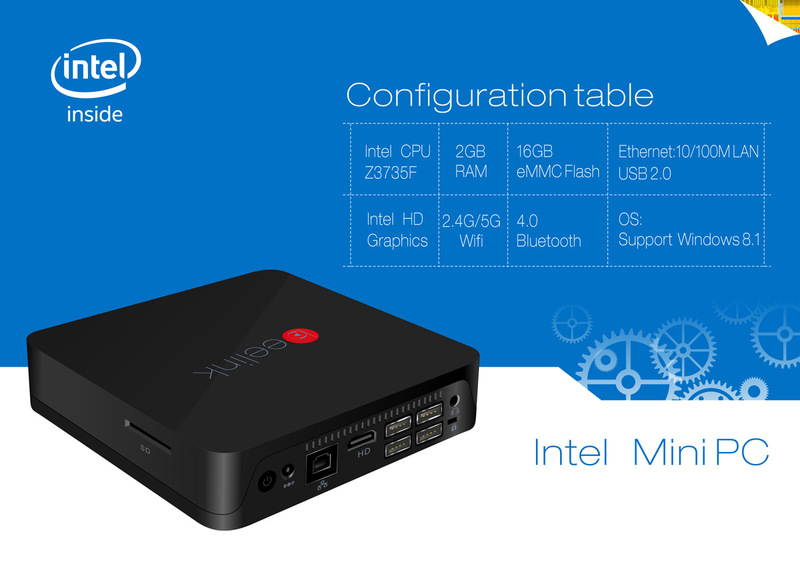 The mini PC comes with a universal clamp which will allow you to fit the Mini PC on anything that you want. In addition, you can also pair the device with any smart TV or a Projector via HDMI Cable or WiFi Connection. The Beelink M808 is one of the best in the business, when compared to the features that it provides. To be precise, it provides all the features of a Computer. The only things that you are needed to do is set the Beelink M808 up, connect a mouse to it, Connect key board, which will not be required if you are connecting to a smart device with touch feature. In addition, you can connect an Ethernet cable to use Internet and LAN. 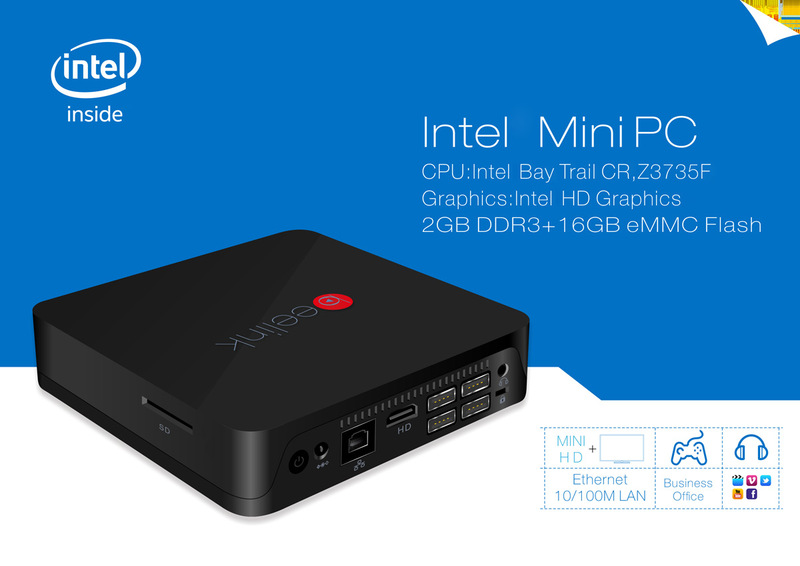 The Beelink M808 comes with a Intel CPU and Intel HD Graphics. The device has a local memory of 2 GB RAM coupled with a 16 GB eMMC Flash Storage. The device supports 100 M LAN and Ethernet, coupled with a maximum of 5 G Wifi. It also has USB Ports, HDMI Port and Bluetooth 4.0 for connectivity purposes. Unlike the others, the Beelink M808 supports OTG cables, external hard drives and web cams for conferencing and video calling purposes. It also supports many other languages apart from English. There is no doubt of the fact that the Beelink M808 is a genuine device which is worth all the features it provides. You can hook it up with any smart device and finish your presentation anytime you want. You can also use the Beelink M808 to watch your favourite movie another time with your friends in HD graphics. You can also challenge your sibling to a race on your favourite racing game on the Beelink M808. At present, the Beelink M808 runs on the Windows 8.1 OS. The upgrade to Windows 10 will be made available as soon as the system gets stable. The upgrade to Windows 10 from Windows 8.1 for the Beelink M808 will be made over the air such that you do not face any issues. The Beelink M808 is one of the devices that will always put through the services which will; not be regretted. After all, who does not want a mini PC in his or her bag.